Here at Sheerwater Glass, we pride ourselves on our expert team. From window designers to our sales team, surveyors and window fitters, we pull together to provide a professional, friendly and reliable service that offers our customers great value for money, every time. 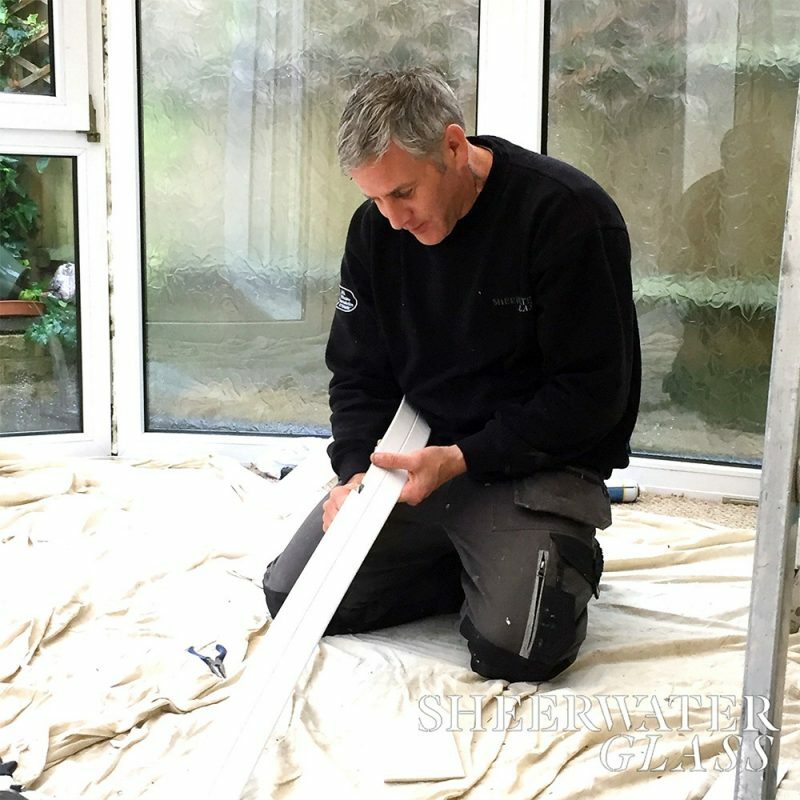 We caught up with our window fitter Rick, for a quick Q & A about his job as a fenestration installer. 1. So how long have you been for Sheerwater Glass Rick? I’ve been a window fitter at Sheerwater for 26 years! 2. Can you tell us a bit about your job role? My job is to fit and install anything that Sheerwater Glass ask of me. Once our glazing team have measured up, it’s my job to go to the customer’s property and install the product. This can be anything from one of our slimline uPVC window units, to a set of brand new aluminium bi-folding doors or a new conservatory. No two days are the same in my job. 3. So what’s the first thing you do when you get to the office in the morning? I off-load the van and make sure we’re organised with the tools and materials needed for the day ahead. Then we load up for the day. 4. So where in the area will work take you? We cover projects all over Surrey and Middlesex, as well as Hampshire. The nice thing about our job is that we get to know our customers close to home, in around Woking, but we get to travel further out too. 5. Can you briefly outline a typical day for you? Myself and another fitter (or two) will arrive at the customer’s property. We’ll meet the customer, introduce ourselves and discuss the plan of action for the day ahead. We try and ensure the customer feels as relaxed as possible by answering their queries and following any requirements they have whilst we’re at the property. We’ll then get our dust sheets out to protect areas of the home and furniture that are in close proximity to the job. We’ll prepare the new windows, remove the old window units and replace with the new. We use top quality products and tools to get the job done, and take our time and care to achieve a great finish. If we can we’ll offer the customer advice on how best to maintain their windows. Lastly, we’ll vacuum and leave the property as though we’ve never been there! 6. So what would you say are the skills required to be a window installer? Definitely a commitment to a high standard, that’s something we’ve always taken pride in at Sheerwater. Being friendly, approachable and professional always ticks the boxes in the customer’s eyes too. 7. And what’s the best thing about your job? Doing a top-notch job and leaving the customer fully satisfied is really rewarding. It makes all our efforts worthwhile. 8. Can you share a favourite project of yours? A new conservatory can make a big difference to a home and we’ve installed some outstanding looking designs in the past. Giving the customer a new room to enjoy that’s ready for furnishing is really satisfying. Our conservatory work gets us lots of referrals too so it’s good news all round!